I just want to share some of the reasons why I play a six string bass. I get asked about six string basses a lot. So, I thought I should make a video about why I play them. And also give out some advice for anyone learning or thinking of learning to play a six string bass. I’ll also write a little bit about the history of the bass guitar and how basses came to have six strings. The first thing I need to say is that how many strings you choose to play, 4, 5, 6 or any other number, is not that important. What is important is the music you play and how you choose to play your instrument. You need to decide what is the best instrument for you and the way you want to play. There’s no right or wrong answer when it comes to how many strings. And I think that bass players sometimes care too much about it. They need to remember that what matters is music, not strings. Why do I play a six string bass? Having said that, I do have good reasons for playing six strings and I’ll share some of them with you now. 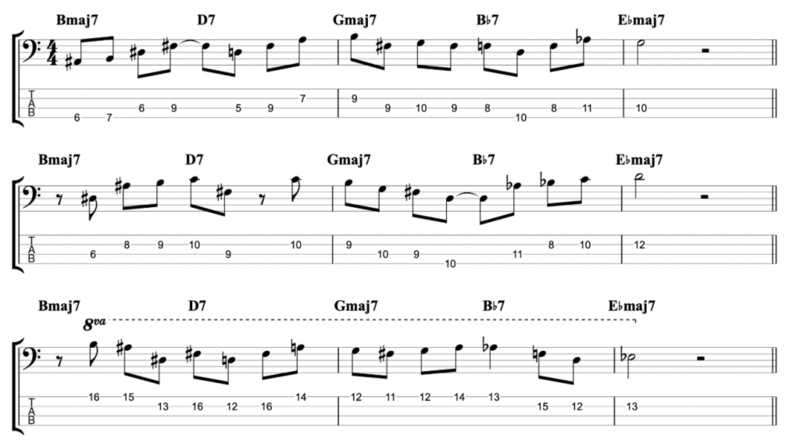 The biggest advantage of playing six strings is the extra range you get. With an extra low string and an extra high string you can extend your range in both directions, which makes six string basses very versatile. I don’t do many gigs where I don’t need to use the extended low range of my six string bass. I can play bass lines that weren’t originally written to be played on bass guitar. The extended high range of the instrument enables me to play melodies, chord voicings and harmonies that would be very hard to achieve on four and five string basses. I know that not every bass player wants to explore these kind of harmonies, but I do, and if you’re interested in that too then you should think about playing six strings. Is it Harder to Play Six string Bass? Yes and no. Hopefully if you’ve seen my other videos you’ve seen me play four and five string basses. Other than the extended range, there’s no difference in the way I play 6 string to 4 or 5 string basses either technically or musically. My technique changes when I switch to fretless bass. But it doesn’t change when I switch between a fretted 4 and a fretted 6 string bass. So for me, playing 6 isn’t any harder than 4 or 5 strings. In fact it’s easier because I play 6 most of the time and it’s what I’m most comfortable with. Having said that, you need a strong technique to play 6 string bass well. And you need to make sure that you really learn all six strings. 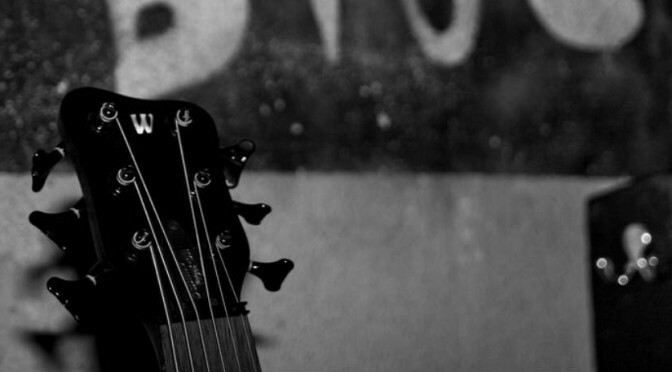 There are a few technical things to consider when you learn to play six string bass. I see some 4 string players putting their left hand thumb on top of the neck when they play. It’s not great technique to do that and you can’t get away with it on a 6. The extra width in the neck means you won’t be able to access the low strings. Another technical consideration is string damping, meaning that you don’t want to let open strings make noise when you’re not playing them. 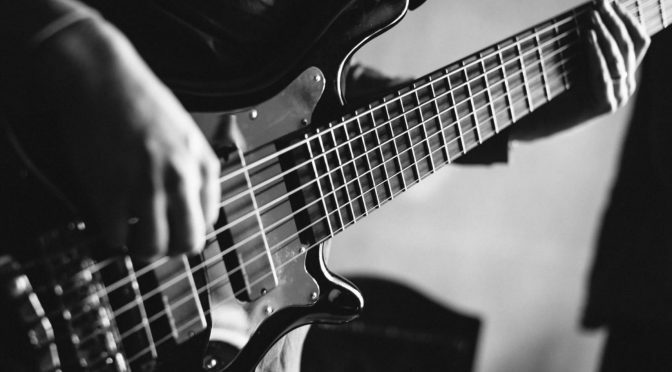 This is a technical consideration for all bass players, but the more strings you have, the more difficult it is, so you need to work on that if you’re going to play six strings well. My final thought on the technical considerations is that it’s a bit harder to learn to play slap bass on a six string, because the high C string can be a bit in the way. But if your technique is good then you can still play in that style. When I started playing bass, I learned on a 4 string bass like most people do. Then I switched to 5 and then 6. I started playing 6 string basses in my late teens. The first thing I did when I got the extra strings, was learn where the notes are on those strings. If you don’t do that, you’ll never play the 6 string bass really well. I’ve heard it said that bass players should learn how to play 4 strings properly before trying to play 6. That doesn’t make any sense to me at all. If you take that argument to it’s logical conclusion then we should all start with one string on our basses. We should learn it properly and then add another and learn that properly. That’s not how you learn to play a musical instrument. My advice would be that if you want to play a six string bass, then get one and start to learn it properly. Make sure that your technique is good and that you learn all six strings. What to Look out for When Buying a Six String Bass? So if you’re thinking of learning a six string bass, there is some advice that I’d like to give you about the instrument that you buy. The first thing that I think is really important is string spacing. You want a nice wide string spacing, just like a 4 string bass. I really wouldn’t recommend getting a bass with a very narrow neck and the strings close together. I’ve mentioned already that there’s no difference in the way I approach playing 4, 5 or 6 strings. And for that to be the case, I need the string spacings to be the same. If the strings are much closer together then it suddenly feels like I’m playing a different instrument. The next thing to consider is that the bass has a very even sound across it’s whole range. It needs to have a strong and clear low B string. And it also needs to sound good and be easy to play in the high register. 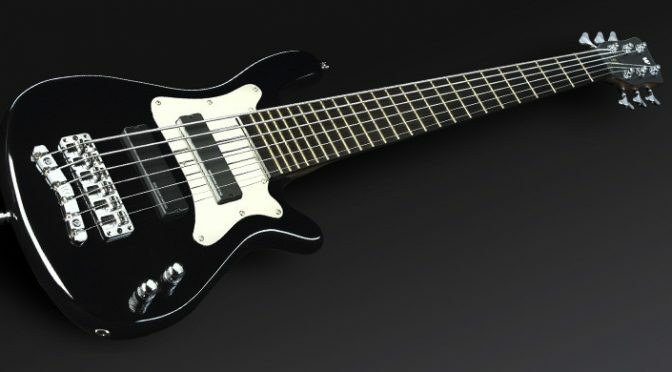 If your bass is week in any part of it’s range, then you’ll lose the benefit of having the extra range that the 6 strings give you. The last thing that I would highlight is the balance. That’s very important. If your bass neck is too heavy then it will dive to the floor when you let go with your left hand. Which means that you’ll have to constantly hold it up which will ruin anybody’s technique. So make sure your bass is well balanced. Make sure you can rest it on your lap with no hands and the neck doesn’t dive for the floor. So, if you have a six string bass with a wide string spacing, a nice even sound across it’s whole range and it’s well balanced, then you have everything you need. And the good news is that you don’t have to spend a fortune to get a good six string bass. I know that people will ask what is the bass in the video. So, I should say that it’s a Warwick Artist Series bass. Unfortunately they don’t make these any more, which is a shame because they’re really good. But if you’re looking for something similar without breaking the bank, then I would recommend trying the Warwick Rockbass line. You can find out more about my Warwick Artist Series “Steve Bailey” bass here. Why do bass guitars have four strings? I just want to say one more thing about the history of the bass guitar and why basses have four strings to begin with. Many people think that Leo Fender invented the electric bass in the 1950’s, he didn’t. It was invented in the 1930’s by a gentleman named Paul Tutmarc. 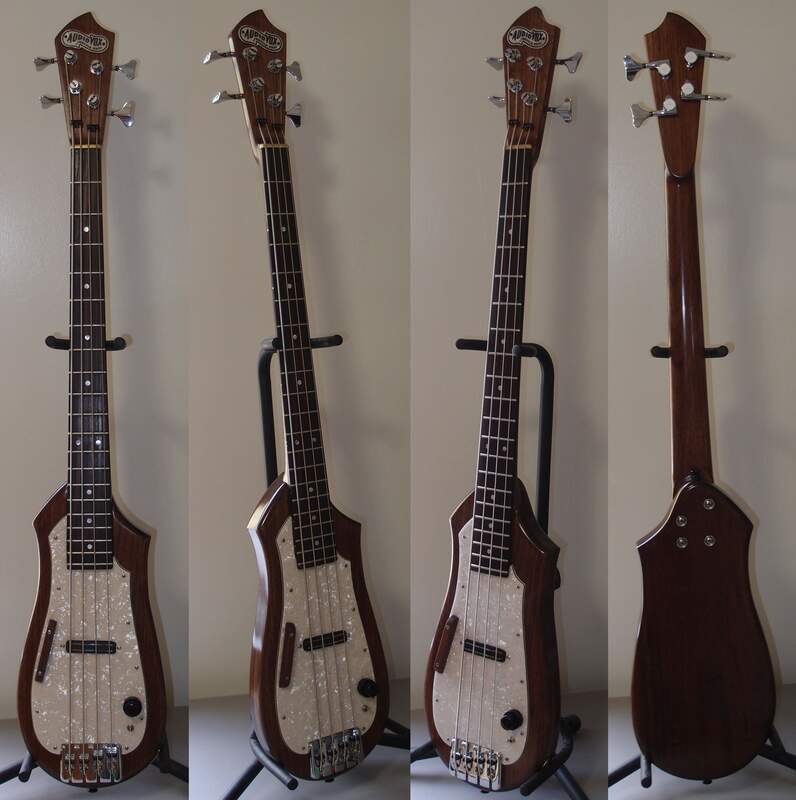 And it was originally sold as a bass fiddle. Musical instruments usually evolve from other instruments rather than being invented out of the blue. The electric bass was no different. It was modelled on the orchestral strings violins, double basses etc. Hence it had four strings, was tuned like a double bass and it was called a bass fiddle. What Leo Fender did, which was revolutionary for the electric bass, was to realise that it would be much easier to play if it was shaped like a guitar rather than a fiddle. And he created all of those iconic Fender basses like the Precision and the Jazz Bass which became the archetypes for all future bass guitars. But the Fender basses retained the four string tuning of Tutmarc’s original electric bass fiddles. Who Invented the Six String Bass? It was Anthony Jackson in the 1970’s who started to ask the question, if the bass guitar is now a member of the guitar family, not the orchestral strings family, then why retain the four string double bass tuning? Surely it makes more sense to have six strings like a guitar? It was Jackson who came up with what we now consider standard tuning for a six string bass. He called his bass guitars contrabass guitars. The name never caught on, but the concept of the six string bass has become more and more popular. That’s my thoughts, and please don’t take this as any kind of criticism of four or five string basses. Most of my favourite bass players play four string basses and many play five. I play four string basses. And I can’t stress how much it doesn’t matter how many strings you like to use. You should find the bass that feels right for the way you play, and that’s all that matters.